Chip sales fell 15 percent globally in January compared to last year thanks to what one analyst described as a perfect storm. Bruce Diesen from Carnegie Group in Norway noted that one influencing factor was anticipated but several others still remain an issue. The Chinese New Year started on January 23 this year; three out of the past four years, it began in February. Other factors that led to lower sales include the continued aftermath of flooding in Thailand which led to overall weakness in PC sales due to higher prices and lower than expected sales of mobile phones. South Korea’s technology exports and Japan’s chip exports were both down in January. Diesen highlighted that Korean handset exports were 39 percent lower than last year due in part to the holiday shift. After a strong showing in December, automotive sales are down thus resulting in fewer chips needed for that industry. "Although several chip makers indicated the inventory correction in Q4 has ended, our early indicator indicates that it continued into Q1," Diesen said. 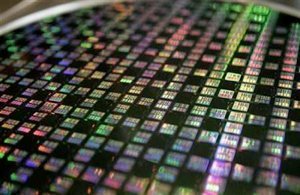 Diesen’s data models show a three-month average of chip sales for January to be $22.7 billion, as reported by the World Semiconductor Trade Statistics (WSTS) organization. Figures for December 2011 were $23.83 billion. Sales are expected to be better than usual for February with the holiday having passed. HDD supply isn’t expected to fully recover until Q3 which means we could see a back-loaded PC market where sales pick up steam near the holiday buying season.